You have to start with Fuller’s. The Chiswick brewery’s history stretches back into the century before last, and this beer is a link to that time; it’s a rich, wonderfully balanced, extraordinarily drinkable beer. 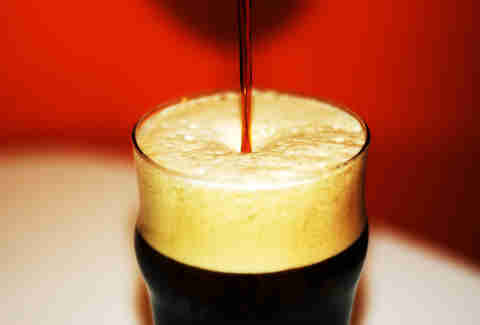 Something to give those who say they don’t like dark beers. Of those breweries that have emerged during London’s recent beer-mania, none has made a bigger impact than Camden. Hells is its bread-and-butter beer, but it's this IPA in lager’s clothing that made the beer geeks gasp. Clean, bright, floral -- this is a genuine brewing achievement. The Kernel does things a little differently. There’s no compromise here, no concessions. 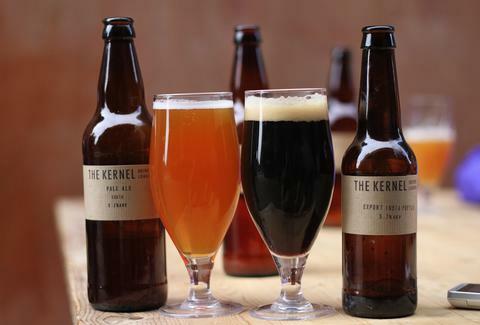 This Bermondsey brewery has become famous for its hop-focused pale ales, which come in a variety of different flavors depending on the availability of various New World hops. A personal favorite is the IPA made with Nelson Sauvin, which is richly fruity and (as the hops' name, a nod to Sauvignon Blanc, suggests) vinous. 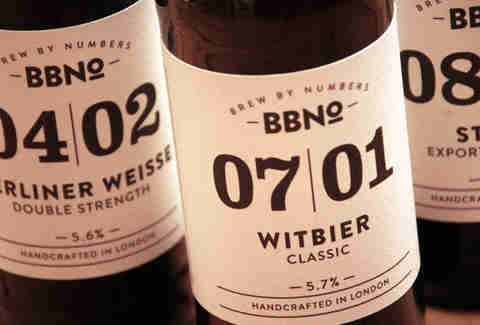 Just down the road from The Kernel is Brew By Numbers. This brewery began in a basement flat on nearby Southwark Bridge Road; a few years (and a decent wad of cash from BrewDog) later, it's ensconced in London’s modern beer heartland. In my opinion it makes excellent focused beers, most of them dry as a bone and delicious for it. Witbier is an underappreciated style of beer; this one offers chamomile alongside the classic coriander and orange peel. 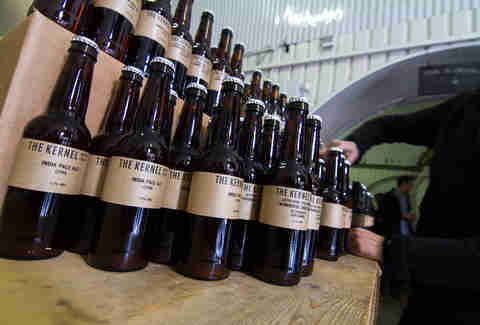 No brewery better encapsulates the relentless, merry, what-next feel of the modern London beer scene than Beavertown. Established at the back of Duke’s, a BBQ restaurant in East London, at the end of 2011, it now employs 20 people on a rapidly expanding industrial site in Tottenham. It (rightly) get a lot of plaudits for the likes of Gamma Ray and Neck Oil, but this blood-orange beauty is many people’s favorite. It's juicy, but seasonal, so don’t expect to see it again until next spring. Sorry. It’s not all about hops, you know. 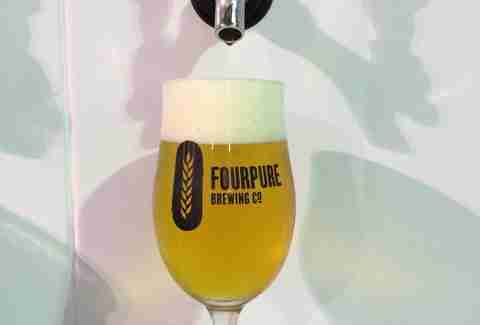 Most people still prefer a clean, cold pale lager (even if it might not seem that way in Hackney) and, as we chin-stroking post-craft beer lovers know, lager doesn’t have to be boring. This is one of the best of the pale lagers being brewed around town these days, from a brewery that goes from strength to strength. Look out for the London Beer City pale ale it's releasing for the festival in August. It’ll be very good. Before Beavertown, Redemption had Tottenham all to itself -- not that Andy Moffat, routinely and correctly identified as the nicest man in brewing, is likely to kick up a fuss about the incursion. Trinity is Redemption’s low, low-ABV pale ale; it’s 3%, but tasty nonetheless. Orange citrus, light, delicious (especially when the weather’s good). Over in Dusseldorf they’re rather keen on a beer style called "alt" ("old" in the local lingo), a darkish ale-lager hybrid with pronounced old-school hop character. It’s very good, so it’s wonderful that Orbit, whose home is beside Walworth Road, is making an excellent version in London. It’s smooth and nutty, with a growing bitterness, and it’s called Neu (geddit?). 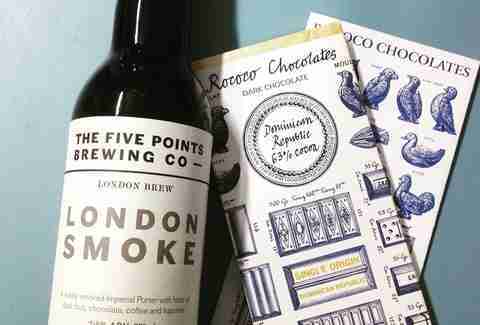 There’s been a rush to brew London beers over the past few years (styles like porter, stout, and IPA were born here) and this big, coffee-laden, inevitably smoky effort from one of East London’s finest new breweries is among the best. Five Points is among the good guys, but that’s not why I’ve recommended this beer. I’ve done that because it tastes really good. 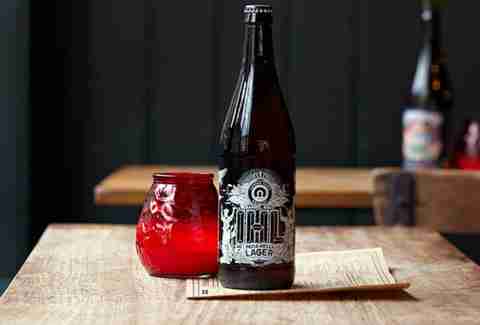 One of the best-named breweries in London makes one of the best pale ales around. The original version has Hop X, a punchy English variety developed by the legendary Dr. Peter Darby down in Wye, Kent, and -- flavor-wise -- was quite a revelation. The brewery continues to go from strength to strength.